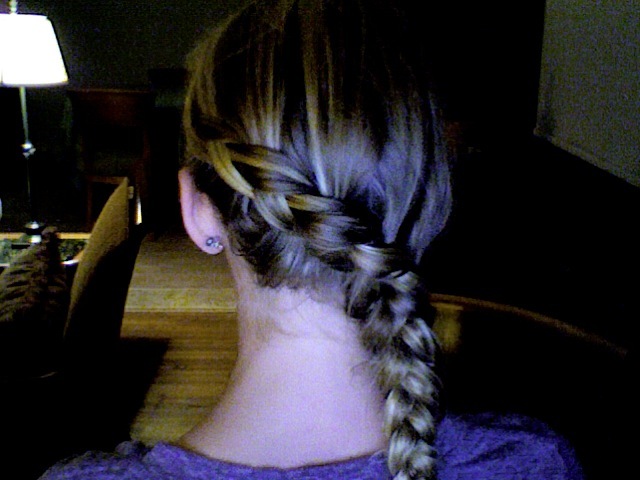 I love summer braids - and this one is so pretty. I'll have to try it out. Thanks for the inspiration! Oh, happy memories of french braiding my daughter's hair! Braids are wonderful. I had long braids until I was about 14. Have a wonderful happy summer with your gorgeous daughter. Love it....my daughter wears a braid when she is working as of lately it's a fish tail braid. Have a wonderful day! I've been wearing this til yesterday...had 7" cut off...too much but so much lighter and it will grow back. This is the summer of the braid, reinvented! The movie has had such an impact this year.